How’s summer treating you? 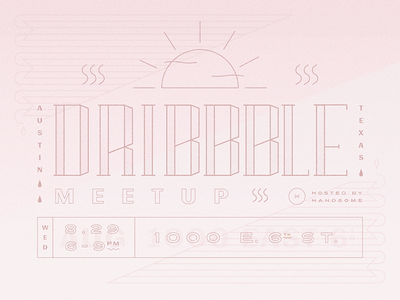 To celebrate the end of another brutal Austin summer the Handsome team is hosting our first ever Dribbble Meetup. Stop by, have a few cocktails, kick it with local designers, and escape the summer heat. We’ll be capping the event at the first 100 attendees, so be sure to be on time.